Over the past years, five pipeline expansions have been proposed in Massachusetts. Right now, the Kinder Morgan Connecticut Expansion pipeline - which is proposed for Sandisfield, MA, and would harm protected lands and waters in Otis State Forest as well as indigenous stone ceremonial landscapes, is hitting a major milestone that could set the tone for future pipeline permits. For more background, check out this article from Mass Live, or read on! Read more about Governor Baker Should Deny the CT Expansion Water Quality Permit! On Tuesday March 21st, local business owners and concerned residents unveiled a list of hundreds of local businesses endorsing the Stop the Pipeline campaign from across the state. The effort was spear-headed by a state-wide coalition Mass Power Forward with press conferences in Seekonk, Canton and Dalton. Access Northeast is a Pipe Dream! Is gas demand going up? Read more about Access Northeast is a Pipe Dream! Mass Power Forward Lobby Day! Members of the Mass Power Forward coalition are descending on Beacon Hill to demand that our legislators do everything they can to promote a clean energy future! The stakes have never been higher. With climate deniers running the show in Washington, DC, we NEED Massachusetts to step up and lead. Read more about Mass Power Forward Lobby Day! Over the last year, the Massachusetts climate movement has made tremendous progress in stopping new fossil fuel infrastructure all over the state. With so much happening all the time -- announcements, press conferences, court decisions -- it can be difficult to keep track of what’s going on! That’s why we’ve put together this guide to the current status of each pipeline project. Earlier today, the Supreme Judicial Court struck down the so-called “pipeline tax” (ENGIE Gas & LNG LLC v. Department of Public Utilities -- SJC 12051), which would have forced electric ratepayers to subsidize new gas pipelines. Senate Passes Energy Bill; Conference Committee Named! We are so close to something truly historic. Email and Call your legislators to ensure we pass a strong final bill! 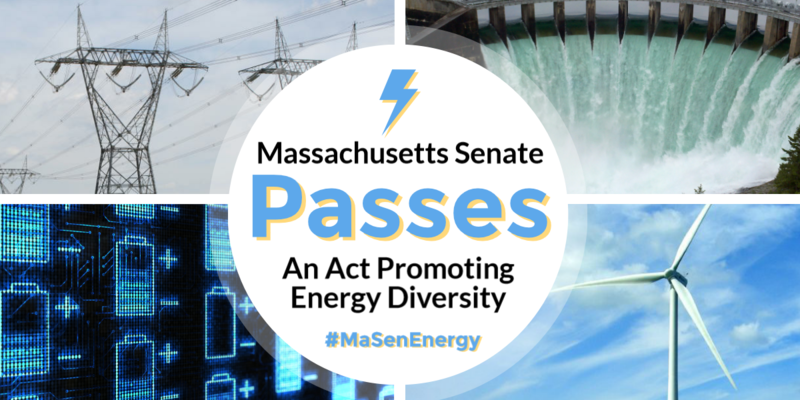 Read more about Senate Passes Energy Bill; Conference Committee Named!